Today I’d like to share with you the very first lesson of a course that I’ve been working on all year, a course called Learn a New Language with Sketchnotes. Within that course I help you apply your visual note-taking skills to the task of learning a foreign language. I’m very excited about that topic, and I hope that the course overview in the video above gives a clear picture about what you’ll get from the course if you decide to sign up for it. 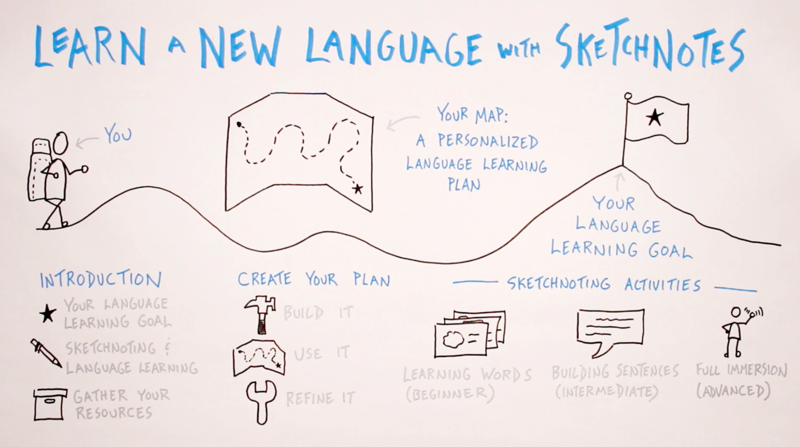 Throughout the course I’ll help you map out your own language learning plan and provide you with sketchnoting activities to make the most of your language learning efforts. I myself have been using the tools and techniques from the course to learn French, my third language. 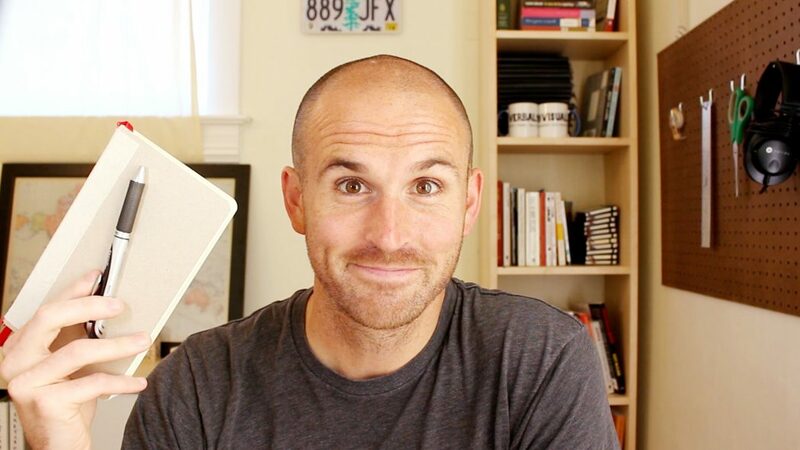 You’ll get to see lots of examples from my own sketchbook, and I’m excited to continue using my language learning efforts as a testing ground for the ideas you’ll find within the course. Thanks for following along with this journey.